Here's the February edition of the .NET Foundation newsletter! Every month, we'll give you a quick overview of the .NET Open Source landscape, including top project news, events, community links and more. This month, we've begun accepting our first batch of .NET Foundation Voting Members and onboarding them to our new .NET Foundation Members site. We also clarified that .NET Foundation that the contributor requirement for membership isn't just code, it includes things like speaking and community organizing. If you've been putting off applying, apply today! Today, we announced the kickoff of our first .NET Foundation elections! Any Voting Member is eligible to campaign for a board seat. The campaign period runs from February 28 - March 21, followed by a one week voting period ending March 28 at 12 PM Pacific time. More information about the elections is available on our election website. We're going to continue posting more information about membership and board elections on our blog, and you can watch the @dotnetfdn Twitter account for updates as well. If you have any questions about membership, running for the board, or joining as a corporate sponsor, don't hesitate to contact us at contact@dotnetfoundation.org. Windows Template Studio goes 3.0! Horizontal Navigation View is replaced the Pivot navigation pattern. DNN-Connect was announced and will be held in Champery Switzerland, June 6-9. Steeltoe 2.2 RC1, and has been released, and should be generally available mid-March. Visual Studio 2019 is almost here! Join us online on April 2 starting at 9 AM Pacific Time for demos and conversations centered around development with Visual Studio 2019, Azure DevOps, and GitHub. 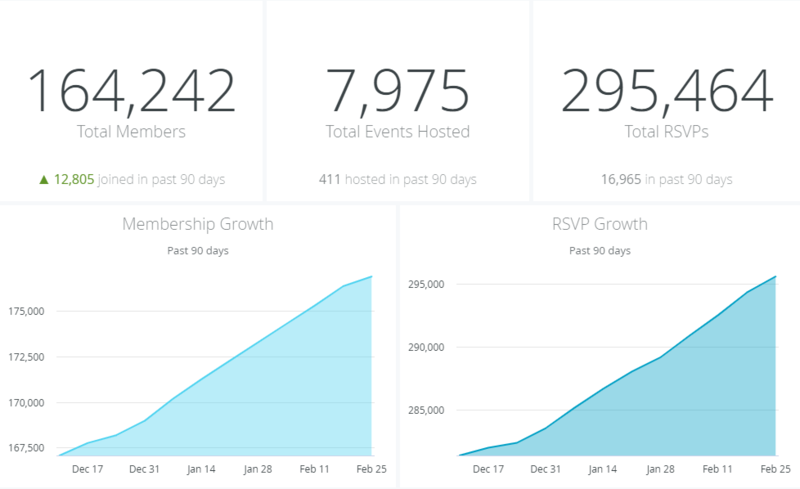 Join a local launch event in your city or help organize one for your community. 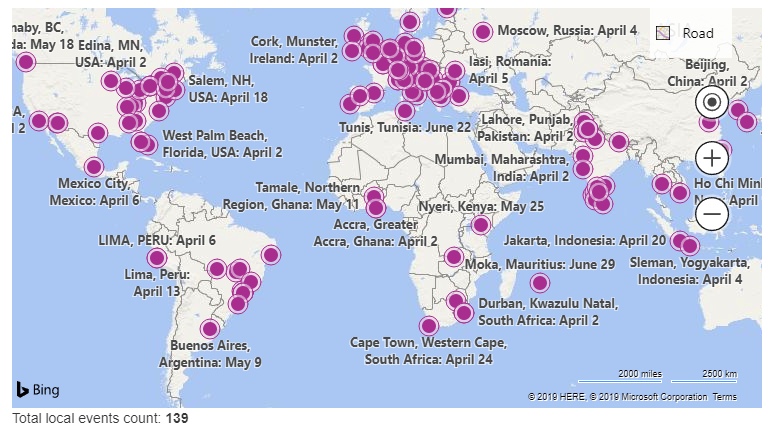 The .NET Foundation helped partner with our local Meetups to host these local events, check out the worldwide reach! 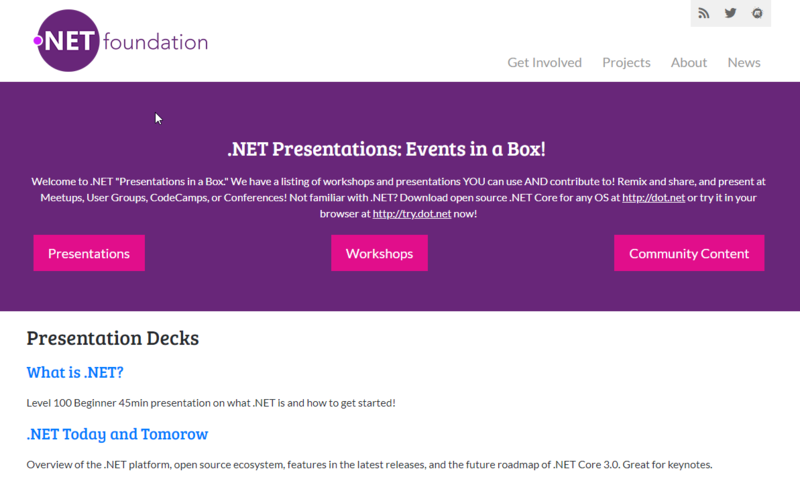 We've upgraded our .NET Presentations repo with a pretty new site with an easy to remember URL: https://presentations.dotnetfoundation.org. 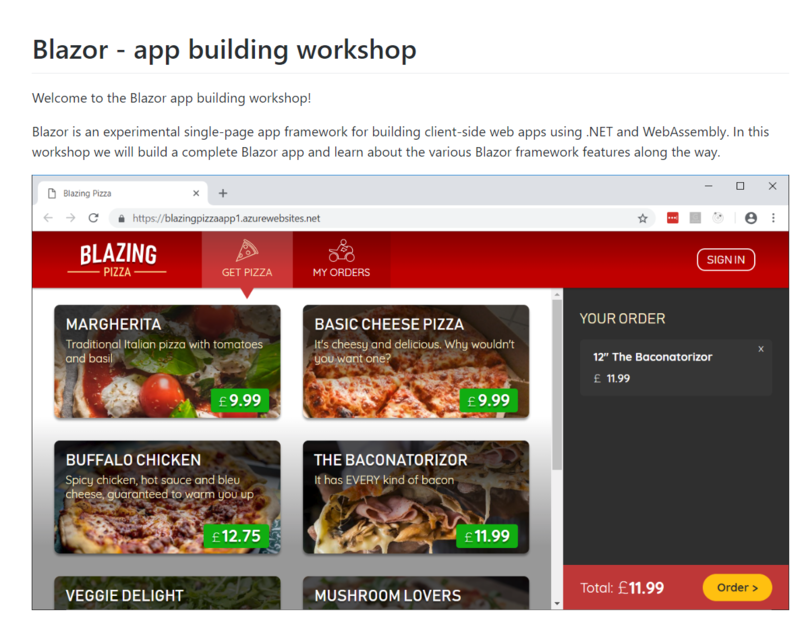 It also has some new updates, including an all new Blazor workshop (complete with drone delivered pizzas!). Take a look! We've also started sending newsletters to Meetup organizers, including some links for some free swag for their groups. If your meetup hasn't joined yet, you can right here. The .NET Foundation is on Facebook now. Please like our page! We’ll post regular updates and interesting things happening with .NET to share. The .NET Foundation is also on YouTube. Watch community standups and design reviews as well as code-focused shows and interviews across our multiple playlists. Please sign up to get the .NET Foundation Update via e-mail. Don’t worry, we want to keep these short, interesting, and low-noise, so we won’t overload your e-mail.